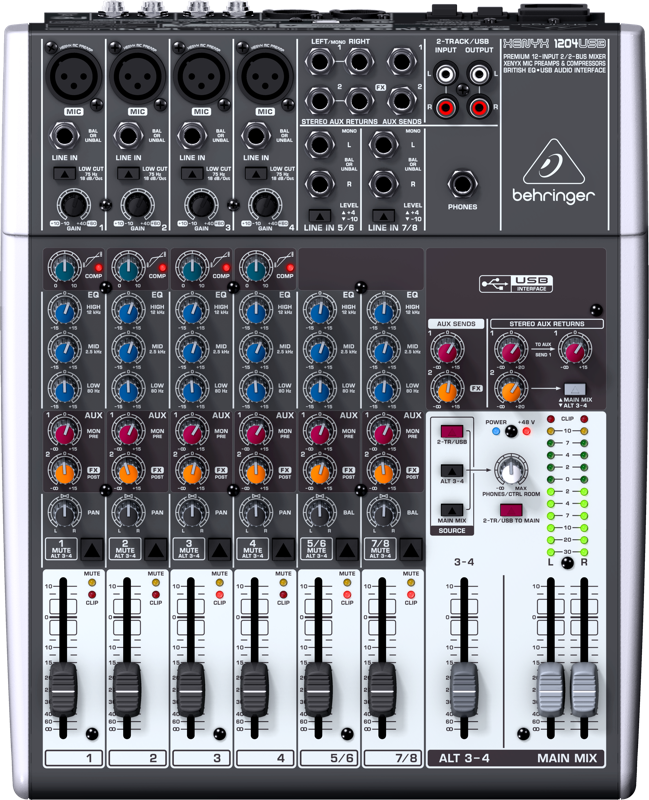 Boasting a stellar feature set that includes our premium-grade XENYX mic preamps, “one-knob” compressors, British EQs and 24-bit onboard FX, the new BEHRINGER UFX1604 is one of the best-sounding compact mixers you’ve ever heard. 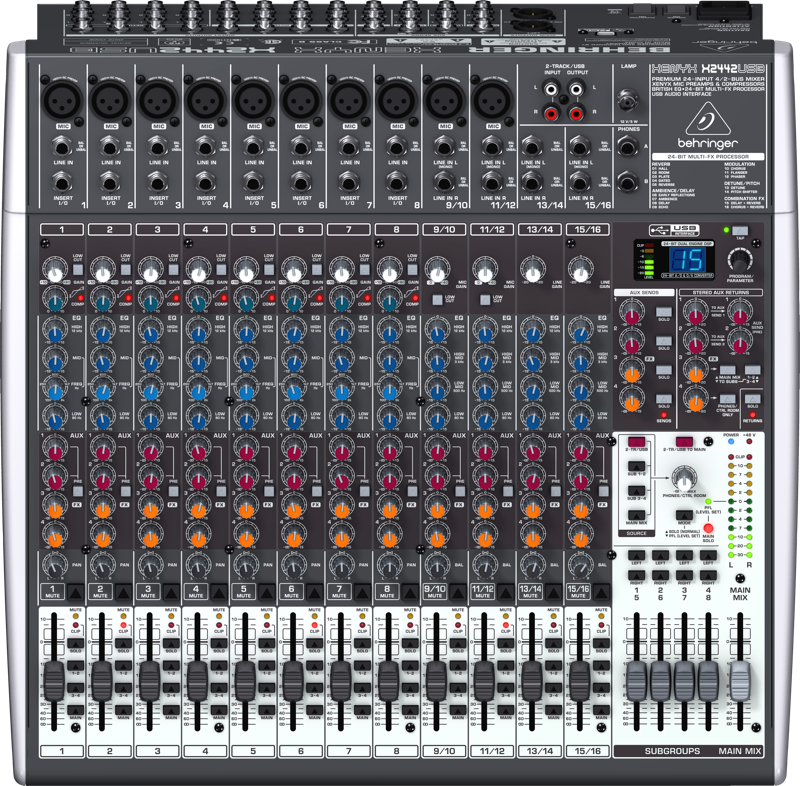 But the UFX1604 is light-years beyond your average mixer, thanks to its built-in 16 x 4 USB/FireWire Interface and 16-Track USB-Recorder. 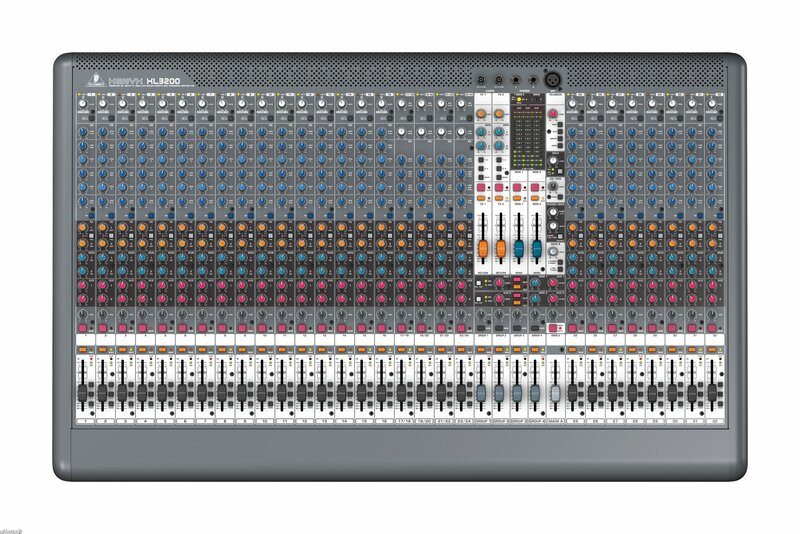 Imagine being able to record your next live gig directly to a USB stick or even straight to your PC/Mac computer—and the UFX1604’s transport section can function as a remote control center for your computer-based DAW via MIDI. 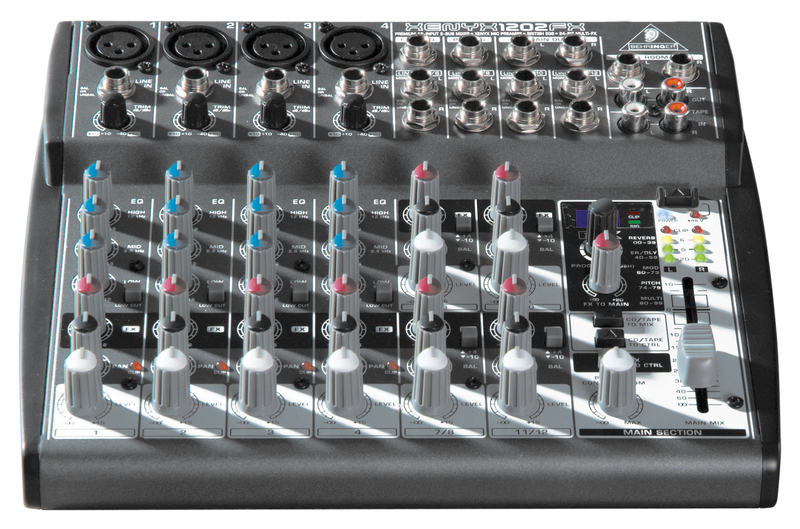 From input to output, the UFX1604 is all about functionality, ease of use and ultimate versatility. Mono channels feature our legendary XENYX mic preamps, praised the world over by professional audio engineers for their sonic clarity and high-headroom performance. Channels 1 – 8 accept both balanced XLR and 1/4″ TRS, as well as unbalanced 1/4″ TS connections. A Line/Hi-Z switch is provided on channels 1 & 2 so you can connect acoustic, electric and bass guitars without the need for an external DI box. Mono channel EQ is our highly musical “British” 4-band with individually sweepable Hi and Low Mids, complete with bypass switch per channel. 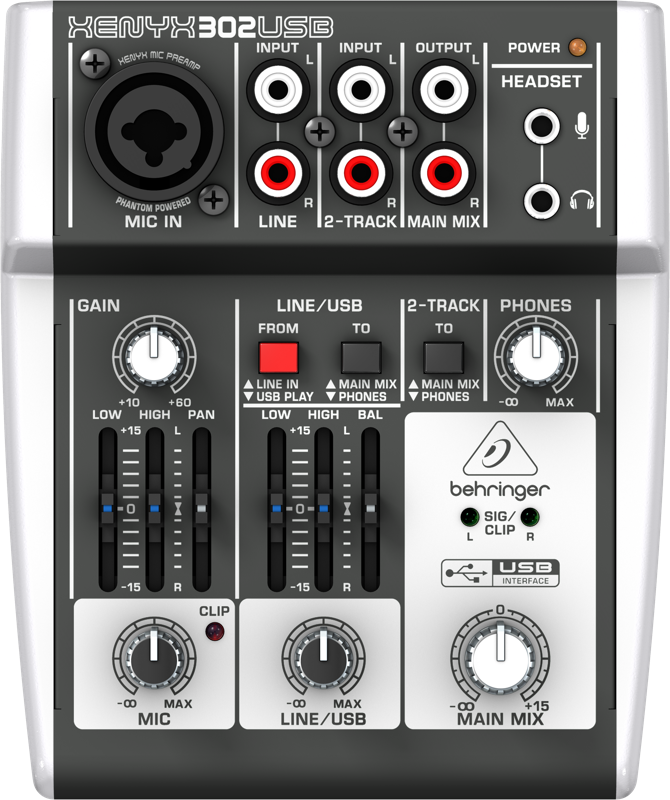 True +48 V phantom power is available (and individually switchable) for all mono channel strips—a feature virtually unheard of on a mixer in this class! 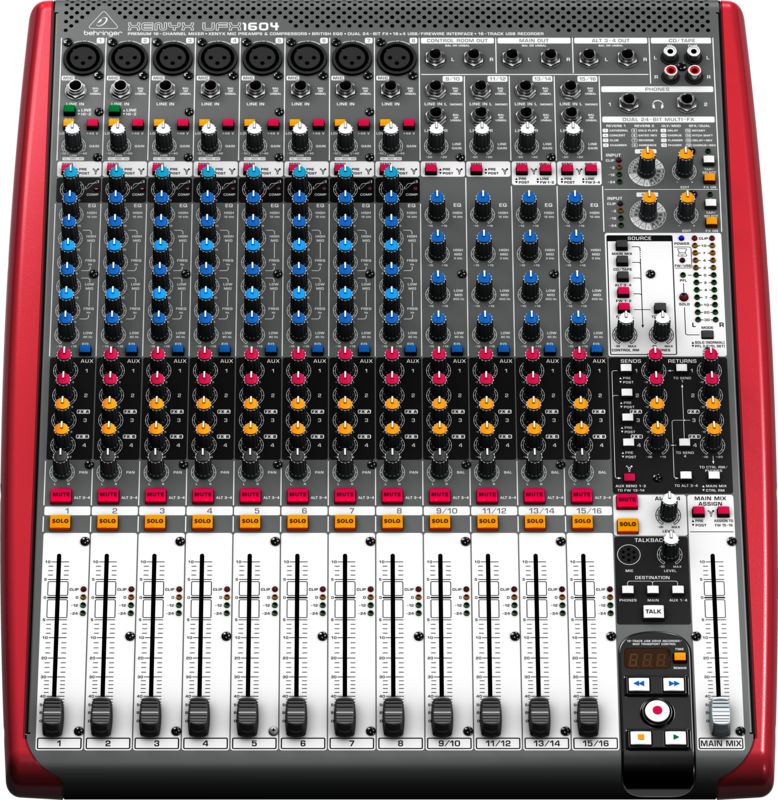 Stereo channels support balanced and unbalanced 1/4″ Line connections and our 4-band “British” EQs are provided for tonal adjustment. 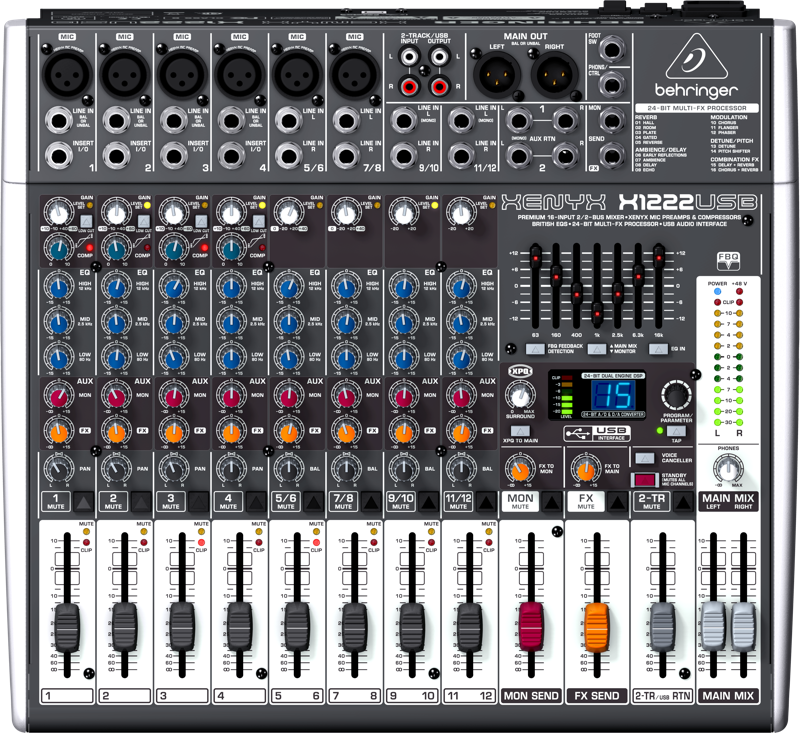 All channels feature four Aux Sends, switchable Pre/Post FireWire Sends, Mute/Alt 3-4 functionality and super- smooth, long-wearing 100 mm logarithmic-taper faders. We also gave the UFX1604 not one, but two high-end stereo FX processors with 16 editable presets including reverb, chorus, flanger, delay, phaser, multi-effects and Tap function. Add to this an extensive Talkback section with onboard Mic; mono channel Inserts; four stereo Aux Returns; a plethora of output options; plus free software downloads and more—and you’ve got the incredible new XENYX UFX1604!